Social media took the world by storm – and businesses are still trying to keep up. It seems everyday there is new information about where you should be posting, how you should do it and whether or not it is really worth all the trouble. Let me assure you that posting on social media CAN be a very lucrative and successful strategy for your business but you have to have a strategy. Just filling the universe with links and information will not benefit you unless you have a plan. 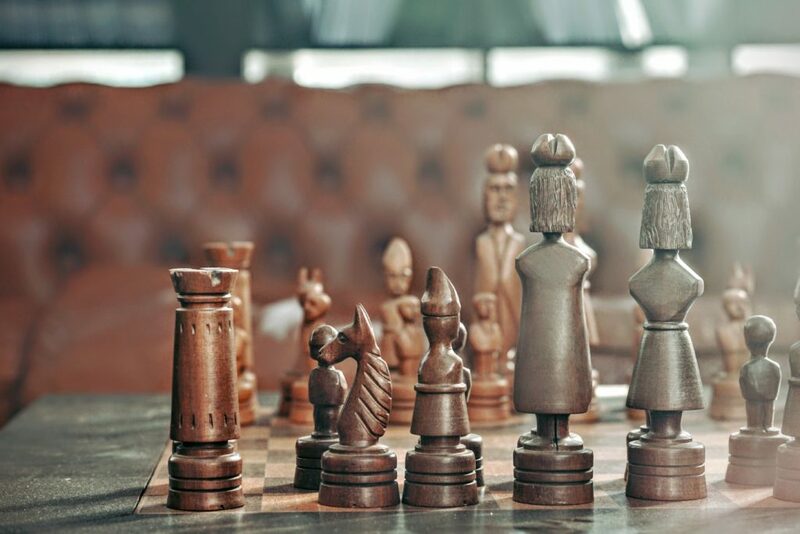 Follow these three steps to be strategic with social media and start seeing results. Your content on social media can be many things but 90% of it needs to be one thing: YOURS. Because we have been bombarded with messages about the importance of being on social media, many people have taken it to heart – even if they don’t have anything of their own to share. This means that social media channels are being flooded with a ton of content that is in no way tied to the business that’s doing the sharing. In other words, many businesses that don’t have content of their own simply share the content of others. The problem with this tactic is that you can spend a ton of time posting and get little to no return. You essentially become a great aggregator of content but don’t position you or your business as an expert. It’s ok to share the content of others on occasion, but 80-90% of what you post should be your own. So let’s say you want to share your own content, but you don’t have anything to share. To those of you in this situation I’d say this: you have more than you think, you just need a strategy. Let’s start with the easy question, do you have any blog posts? Naturally this is great content to share and can, and should, be shared more than once on social media over a period of time. If you don’t know what to write about, we have some great ideas for building a bank of blog ideas to pull from when you need something to write about. Next, think about what you offer, free or paid. You can even share pages from your website that talk about your services as long as you don’t share them too often. Also consider any PDFs, worksheets or diagrams you might use in your selling process. These might be great information bites to share with your audience. If you are speaking at an event, however big or small, or even if you are just attending one, share that too. It at least gives light into what you are doing and where people can find you. Finally, when all else fails, think about your network and before you share content from random sources you don’t know, consider sharing content from people you do. Ask your clients, partners and sponsors if they have content you could share within your network. The answer will always be ‘yes’ and you’ll strengthen the relationship while likely receiving the same in return. The biggest key to succeeding with social media is to plan ahead. 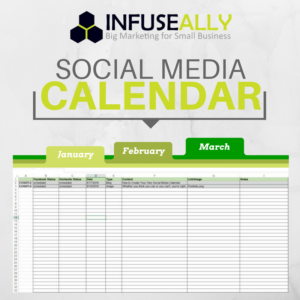 Create and maintain a social media calendar at least 30 days in advance. How often you post will depend on how much content you have to share, but consider a 3, 5 or 7x per week posting schedule and write in the dates. Start by adding the big things, the events and holidays you have on your business calendar. Maybe you want to wish your clients a Happy 4th of July, or wish them a great Labor Day Weekend. Depending on your company, you might want to offer a discount on your product or services that coincides with a particular event or holiday. Plan that out. Also, think about the month as a whole and consider how your social media can, and should, tie in to your overall marketing focus. What do you want to promote this month? Your content should support your overall marketing initiative for that month and you might even consider changing up your social media cover images to reflect your current focus. Block out 2-3 hours a month to plan out your social media content for the next month and you will start to see a difference in your business. But be strategic with everything that you do. Don’t post just to have something up there. Have a purpose and a plan for everything that you do. It doesn’t take as much time as you think, especially when you consider that posting without a plan is almost completely a waste of time. For help planning out your social media strategy, download our free social media calendar and start mapping out your content for next month. This entry was posted in Marketing Strategy, Online Marketing, Social Media Marketing and tagged marketing strategy, social media marketing, social media strategy. Bookmark the permalink.